Home Mouw’s Musings - The President’s Blog A Theology of Cuteness? My first posting on this blog, back in December, included some brief theological comments about MySpace. Earlier I had given an expanded version of those thoughts in a talk on campus. 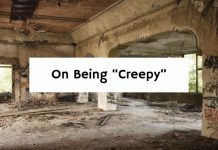 My comments elicited many responses, mainly from people who told me that they, like me, had done some browsing on MySpace, but that they had not thought much before about the spiritual or theological implications of that phenomenon. I’m not going to do it, but I do think it is time for someone to do a serious theological study of not only MySpace, but related sites such as YouTube, DailyMotion, and the like. 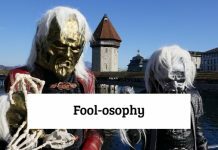 Theologians have been paying much attention in recent years to popular culture–we have had good studies of how to connect the gospel to a generation that reads Harry Potter or watches sitcoms and follows the Real World escapades. I hope someone right now is working on what is going on with the folks who connect with each other on the well-known internet sites. Recently I read a piece in a Christian magazine that described YouTube in almost exclusively negative terms. This pastor had been visiting the site, and decided that it was increasingly given over to really bad stuff. I agree that the bad stuff is there–and very prominent. But there is much that deserves more serious theological exploration. But one thing I did recently was to do a quick scanning of the subjects covered in YouTube’s “Most Recent” category. There were a lot of sports: some of Kobe’s best baskets, many soccer goals, boxing knockouts, hockey fights. But what surprised me was the attention given on YouTube to babies and animals. Ashley turns over for the first time. Owen gets his first bath. The infant triplets all giggling at the same time. And then all those puppies and the kittens performing 11-second antics. Here is an observation that I offer to a budding theologian looking for a popular culture project. Amid all of the bad stuff on YouTube, there is also a lot of attention to the cute. I did a YouTube search of “cute” and came up with a report of 191,000 videos using that word in their titles. To be sure, some of those were “cute teen dancing on webcam,” but there was a lot of innocently cute in there as well. In his famous essay “A Plea for Excuses,” the Oxford philosopher J. L. Austin complained that philosophers of art typically spent too much time focusing on beauty, when most people’s aesthetic interests are less grand. Austin expressed the hope that “we could forget for a while about the beautiful and get down instead to the dainty and the dumpy”! 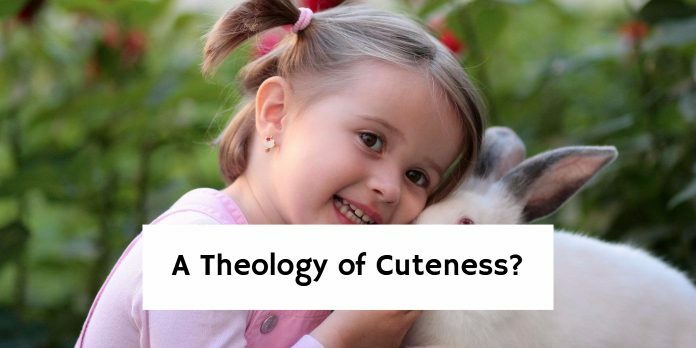 Maybe some creative theologian looking for a new topic could take a hint here and get down to talking about cuteness. Babies and kittens are cute, and they get a lot of attention from many people—the evidence is there at YouTube. I think of Chesterton’s point now when I read the first chapter of Genesis. God calls birds into being, and when he sees them he says, “That’s good!” And he also says “That’s good!” when suddenly the pools he has created are filled with swarming things. There’s a lot of bad stuff on YouTube. And then there are the things—like the Rosie-Elizabeth shouting match—that one can take or leave. But the cute stuff—well, I suspect even God enjoys some of that. I like your comments. 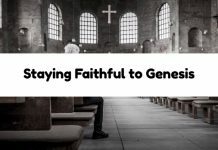 For years I have been very involved with youth ministry and I think to ignore these websites is forming a wedge between adults and youth culture. I have found great opportunities when using my MySpace. It’s funny, the videos I currently have on my page are the laughing quadruplets and the puppies and kittens and their crazy antics. The babies laughing still make me laugh. My kids love it too. Dr Mouw, a wonderful surprise to find your blog. It’s been some years now since we last met. My years at Fuller remain one of the great gifts of my life. This post only reminds me why that is so. What a surprise when I first read this blog. Wow! I wonder how many seminary presidents have their own blogs? Way to go, Dr! 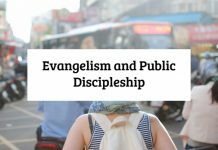 Online community is definitely an important cultural trend CHURCH must pay attention to, especially those multimedia tools like youtube and podcasting. Kids love using them to exchange ideas. Abandoning media is to abandon the opportunity to communicate with our next generation. I have also been impressed with the music community on youtube. You can find one person posting an original song, which inspires different responses from other musicians who offer their own instruments to the original piece. I have seen a girl playing a guitar turn into a bass line, drum part, and back up singing. There is something quite fascinating about this communal contribution to one person’s original music. I imagine none of these individuals would have met any other way. Wonderful challenge—-I comprised a similar study for Eric Jacobsen’s Christ and Culture course where I examined the cultural/sociological impact of the Web 2.0 movement and social networking sites. This is something that needs to be explored further! Thank you for your blog entry. I’m currently a student at Bakke Graduate University, based in Seattle, but I live in Washington DC. I am working on a project for a class that is focused on what it means to be created in the Image of God. My final project is going to explore the worlds of MySpace and Facebook and the ways in which they either affirm or deny the Image of God within us. As you noted above, not much work has been done in this area! I was wondering if you might have noted from the talk you gave on campus (referenced above) about MySpace? Any help would be greatly appreciated!